Tag Archives for " Robert Katai "
At the beginning of 2016, everybody was talking about how big video will be and how important it will become for every small, medium business or even enterprise. And as we can see, the video has become a big challenge for many brands out there that try to get some results with their content marketing strategy. But what the specialist didn’t say is what type of video will rise. We can have documentary videos, movie videos, ad videos, presentation videos, review videos or vlogs. Social media cannot be compared to the television or radio. People use social media because they want something different from this platform. They are tired of prepared shows and videos. They are tired of directed shows that they can’t pause whenever they want. The consumer wants to have the power of getting into the conversation and wants to be part of the experience. This is why social media gained a lot of attraction. The consumer has the power. And this is what the top social brands thought about when they started creating live video experiences. Good editorial design expresses the content without overshadowing it. 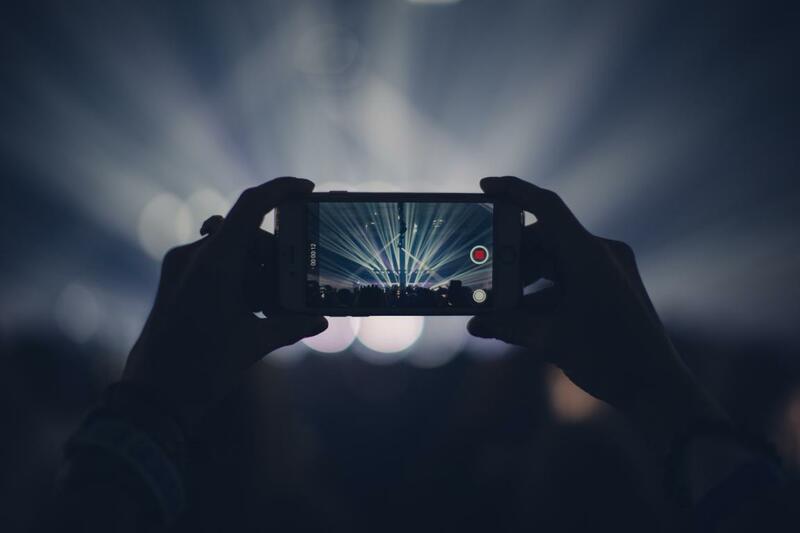 Good live video expresses the content without overshadowing it. In this article I will show you how you can create live videos that your community can engage with, can help you spare time and resources and helps you get in front of your audience at the same time. We will talk about Facebook Live, Instagram Stories and Snapchat Stories. Once upon a time you could only update statuses and upload photos on Facebook. Then the video part appeared and now we have Facebook Live videos. Facebook launched the Facebook Live service in August 2015 for verified public persons through the iOS Mentions app. But back in December, Live was available to selected people on their personal profile and then to everybody. Creating a Facebook Live video is really easy. To broadcast directly on your profile, tap Status and then click the Live Video icon. What you need to do next is writing a description in the status update (This is your Facebook Live video title). This title is what will others will see in a notification. But let’s say that this video is a different type of your audience, so before click the “Go Live” button you can easily choose the audience you want to broadcast to. The camera can be pointed at yourself or outward to capture your surroundings. And now you are ready! Announce the people ahead of time when you will start to broadcast. You can create a visual with the specific date and hour and also what topics you will broadcast about. Connection is an important factor in Facebook Live, so make sure that you have a strong signal before going live. Great description before going live. This is the way that you can capture fans’ attention and tell them what your Live is about. Talk with your viewers. Ask them to subscribe and follow you, so they can receive notifications when you broadcast and also just talk with them. Respond live to their comments. Say hello to your commenters. And other brands started using Facebook Live to have a direct connection with their community too. Why? Because while they are broadcasting people are jumping into the video and start commenting, asking a question and suggesting things to create. And this is a great opportunity to get in touch with your community. But Facebook is not the only platform where you can create live video content on. With more than 600 million monthly active users, Instagram is one of the biggest mobile platform for businesses and advertisers and recently they launched Instagram Stories. A feature on which you can create videos and photos that stay updated for only 24 hours. Some may say that is a copycat from Snapchat but I still believe that they are only adapting to the market. After 2 months from they launch, they have more than 100 million users actively using Instagram Stories. With this feature on Instagram, you have everything you want from a visual mobile platform: from creating, editing and uploading videos and photos, sending private messages, advertising and now creating content that disappears in 24 hours. This is a great opportunity for the brands who don’t have time and resources to create content for other platforms, so with a good phone and a strong internet connection, you can do magic on Instagram. But you should rely on 2 important things: your community and creativity. What type of content can you create with Instagram Stories? From behind the scene stories, to short Q&A with your community or tips and tricks for limited sales. I designed a SlideShare presentation for you to make it easier to understand what you can create with the help of Instagram Stories. And let’s not forget about the latest news about Instagram Live. You just have just swipe right on your Instagram feed to open the camera, tap the “Start Live Video” button and start sharing for up to an hour. Your followers can get a notification when you go live so they can tune in. When you are live, you can easily pin a comment for everyone to see or turn comments off altogether. And when you’re done, your live story immediately disappears from the app. I still believe that Instagram and Snapchat are the King and Queen of visual marketing strategy. Even if the rumors say that they are in a direct conflict, I’m definitely sure that these 2 platforms are on top of everything that is visually combined with mobile. Marketers and business owners are talking a lot about how to be transparent with your audience and community. But talking without doing is something that we don’t need to hear about anymore. So now we have a bunch of tools that can make us more personal with our brand and can get us closer to our community. And Snapchat is one of these tools. Also, Snapchat introduced us to the power of vertical videos that are rising in popularity year to year. This platform has everything it needs to make the user snap every day: from private chat to Snapchat Stories and Memories and to its journalistic side – Discover. Oh, and I almost forgot about the business part, such as Snap Ads. These are an awesome way to catch the attention of your ideal audience. A 10-second full-screen vertical video ad that appears between Stories. Advertisers can offer the Snapchat users the choice to swipe up if they want to view more in-depth content like a long form video, an article, an app or a mobile website. For example, Shopify purchased Snap Ads to promote their annual “Year in Music”. Spotify’s Snap Ads popped up on Discover channel, highlighting a different music genre every day. The results? Spotify got 26 million views and 30% increase a subscriber intent. You can also create geofilters: on-demand geofilters which start with a price of $5 each and Sponsored Geofilters which can cost from hundred to thousands of dollars. And guess what? Millennials are in love in Snapchat. So why not start growing your audience right now and make your brand part of their life using this app. Today is not about creating the perfect content, it’s about creating real content that your audience can engage with. If you are transparent and authentic with your community, it will help you get an emotional connection that will help your brand get closer to the user. I presented you the top 3 social networks on which you can use live content to engage with your audience and create a bridge between your brand and your customers. Remember that there is no universal road to success! Why am I saying this? Because I believe that every brand and business has its own context and you need to experiment, test and measure your impact. It’s about your execution and the results you want to have. 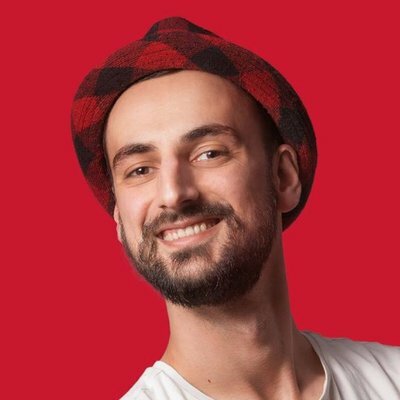 Robert is the Visual Marketer and Brand Evangelist at Bannersnack, a professional banner design app. He writes regularly on his blog about marketing, social media, and content marketing. Passionate about visual marketing, Instagram, and the future of digital marketing communication.